Editor’s Note: This exclusive interview with Dr. Michio Kaku was taken from our Fall 2016 Issue of Innovation & Tech Today. While that’s some time ago, Kaku’s predictions and overall assessment regarding our relationship with science and technology is still highly relevant to the conversation today. Enjoy. 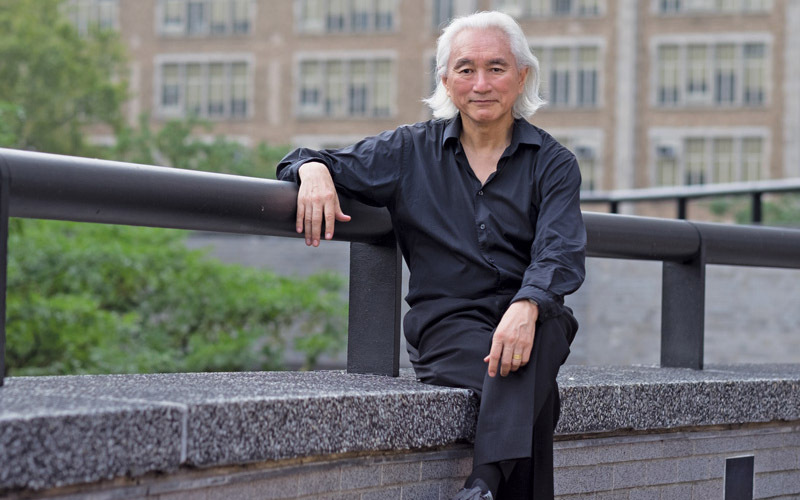 When Michio Kaku was in fourth grade, he happened upon a riddle. Now globally renowned, Dr. Michio Kaku is one of the great popular scientists of our age. A co-founder of string theory, this theoretical physicist has a flair for engaging the masses with education – with appearances in numerous television shows and viral videos. Not to mention, he’s a three-time New York Times #1 bestselling author. However, Kaku might be best known as a futurist – as someone who generates interesting projections about what the technological world of tomorrow will look like. This begs the question though: What qualifies a physicist like Kaku to peer into the future? Over the past few centuries, Kaku explains, physics has been a driving force behind many of the world’s greatest inventions. For instance, the principles of Newtonian physics and thermodynamics set the stage for the complex machinery of the industrial revolution. Since physics reveals the universe’s rules and possibilities, it’s usually one step ahead of the technology that applies them. Thus, as an expert in physics, Kaku can see where new tech is headed better than most. In this exclusive interview, Dr. Kaku takes us on a tour through the home of the future, showcasing how breakthroughs in technology will affect our everyday lives. Innovation & Tech Today: What do you predict will be the most significant technological advancements in the home of the future? Say, 2030? Michio Kaku: First of all, in the coming decades [computer] chips will cost about a penny. That’s the cost of scrap paper. Intelligence will be cheaper than bubblegum wrappers – meaning that intelligence will be everywhere and nowhere. Boom. A doctor appears on your wallpaper. Robo-Doc! Robo-Doc is artificially intelligent. You talk to it; it accesses the Internet, speaks to you in plain English, and gives you a diagnosis that’s pretty accurate, right there in your home. I&T Today: You’ve mentioned in lectures that the “toilet of the future” will also constitute a cure for cancer. To those who haven’t heard, this might sound outlandish. Could you explain? MK: Your toilet will be intelligent. Pee several times a day and you’ll get a complete medical exam, compliments of your smart toilet. There will be a chip in your toilet, which gives what’s called a liquid biopsy. Liquid biopsies are becoming commercially available this year. So you’ll be able to detect cancer years before a tumor forms. So your toilet has a chip in it. It scans your bodily fluids and tells you that you have 100 cancer cells growing in your body. One hundred. That’s years before a tumor forms. Tumors have billions and billions of cells in them. So the word “tumor” will disappear from the English language, all because you will have a doctor in your toilet. I&T Today: In your estimation, how close are we to an intersection between the Internet of Things and the “Internet of Minds,” and what will that world look like? MK: The next revolution in the Internet is brain net. Brain net is how we’ll send emotions, feelings, and memories on the Internet. We can do that now with simple memories. Simple memories can now be sent through the Internet. It’s been done in mice. Next year it’ll be done on primates, and after that we’ll record memories for Alzheimer’s patients. We’ll have a brain chip…a brain pacemaker in a chip that records memories in your hippocampus. It records them, plays them back, so that, if you’re lost, and you don’t know who you are (because you have Alzheimer’s), you push a button and memories come flooding into your hippocampus. We can also begin to process recording memories, and perhaps recording feeling s and emotions. The movies will be totally revolutionized. What is a movie? A movie is a flat screen with sound. End of story. That hasn’t changed for what, 60-70 years? The next revolution will be with emotions. We know that memories are recorded in the hippocampus. We know that emotions are recorded in the amygdala, and we’re beginning to map how they function. And, like I said, we can now send simple memories on the Internet. This has already been done at Wake Forest University, MIT, and other places. Teenagers will go crazy. On Facebook, teenagers will send memories of their first senior prom, their first date, their first kiss, all of that, on the Internet. So, yeah, I think in the future the mind will be connected to the Internet so that we’ll be able to communicate mentally with other people. And already we can record what you are thinking. If you think about the Mona Lisa, we can actually print a reasonable copy of the Mona Lisa from your brain. And we can even begin the process of recording dreams. So in the future, when you wake up in the morning in your intelligent house, you’ll push a button and see the dreams you had in the previous night. Already with MRI scans we can begin the process of extracting out primitive aspects of what the dreams you had. This can already be done at Berkeley, for example. In the future, we’ll be able to print out a motion picture of the dream you had the previous night. I&T Today: The year is 2045. Which smart home building materials are more expensive? The “smarts” – i.e., the computer chips, circuitry, and hardware woven into every nook and cranny of the house? Or the actual lumber used for the frame (assuming lumber will be used)? MK: Well, I think in the future nanotechnology will replace all construction. So that, for example, a bridge could be supported by threads so it looks as if the bridge is floating midair but it’s actually held together by nanothreads. Graphene is one of the strongest substances known to science, stronger than diamond. You can take an elephant, balance that elephant on a pencil, and put the pencil on graphene and the graphene will not break. I think the coming of nano-material is going to change the way we view homes entirely. I mean, why do homes have to be built using such heavy construction materials? Why are they so expensive? And why do they crash when there’s an earthquake? Nanotechnology will revolutionize construction. Now, what’s the catch? There’s always a catch. The catch is that pure nanofibers are extremely hard to make. We can see them in the laboratory, but one of the largest amounts of pure nanothreads and nanosheets is about the size of a postage stamp. So, we have a long way to go before we can create nanomaterial the size of a house. Once we do that, that can revolutionize the way we view homes. Nanofibers in turn conduct electricity. So the nanofibers can become intelligent. So your house literally will become intelligent – it will be one gigantic computer. You will essentially be living inside a computer because nanofibers can conduct electricity and can sustain transistors. I&T Today: You once claimed that “science is the engine of prosperity.” Of course, this optimism has its opposition in the fears of those who get anxious hearing about visions of the future. Why do you think this fear of the future exists? Can you recall a time when, perhaps talking to you, someone tried to rationalize his/her concerns about this? MK: We are genetically hardwired to be fearful of the future. Why is that? Because our ancestors were timid apes. The apes who were brave and had no fear, they got eaten by tigers. Our ancestors were the ones that ran away from the tiger, hid from the tiger. That’s why we’re here today! We’re here today precisely because our ancestors who were not timid, who were too bold, they got eaten by tigers. Their genes are no longer here. Our genes are here because our ancestors were timid. So, we’re genetically hardwired to be fearful of anything new. And the future of course is always new by definition! So, this means that we will be fearful of the future. I remember when the Internet first came out. I did a book tour. People were just getting the Internet. The very first interview I got (I’ll never forget this) the lady that interviewed me said, “How awful! This is terrifying. Absolutely terrifying. I am never, never going to get on the Internet.” And I said to myself, “Look, you just get used to it. That’s all. It’s useful, okay?” I’ll never forget the look on her face: absolutely horrified. I&T Today: I have to admit. I’ve been a little guilty of that sense of horror too at times. I&T Today: We love STEM (Science, Technology, Engineering, and Mathematics) education. As someone who built an electron accelerator in his garage when he was in high school, what advice would you give young tech enthusiasts/ scientists? MK: It’s true. When I was in high school I built a 2.3 million electron volt betatron electron accelerator in the garage. It consumed 6 kilowatts of power. It created a magnetic field of 10,000 gauss, or 20 times the Earth’s magnetic field. So, gee, what advice should I give people? It sounds kind of trite, but you do have to follow your dreams. I get a lot of emails from people who are established. They’re lawyers and they’re accountants and they’re very well-established, but they went into accounting and law because their father wanted them to go into those fields. Now they’re very successful. Now they email me saying, “Is it too late to become a physicist?” They were not allowed to follow their dreams because of practical considerations…I tell people to follow your dreams. When I was young, I read a pamphlet (and I was in, I think, 4th grade) and the pamphlet said, “What do physicists and baseball players have in common?” So I said, “That’s an interesting question.” I opened it up and the answer was “They both get paid to do what they love.” And I said to myself, “Wow, that’s pretty good.” Baseball players get paid to do what they love and we physicists get paid to do what we love, too. I mean, great! I say to people follow your dreams, go as far as you can to understand the secrets of nature, and hopefully at the end of the rainbow you get paid to do what you love. To read what Kaku had to say on the existence of God, click here. To read Kaku’s thoughts on STEM education, click here. P.K. French is the former Executive Editor of Innovation & Tech Today. An award-winning writer and editor based out of Denver, CO, he is fascinated by the relationship of tech and culture. You can find him on Twitter at @pk_french.